Can you enjoy vacationing on a restricted diet? 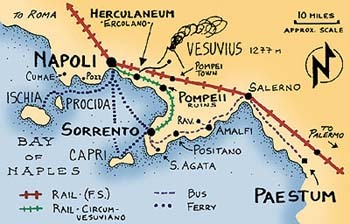 I’m about to take the dream trip of my life — journeying to my ancestral homelands in Italy with my wife and six cousins. It’s exciting but all I can focus on right now is how will I be able to keep to my restricted diet while there? How much gelato, pasta, cheeses and other treats will I have to pas up while everyone around me eats to their heart’s content? We’ll be visiting Amalfi and Salerno, towns my grandmothers were born in, among other places on this trip. In the 10 months since my angioplasty, I have rebuilt what I eat and become relatively adept at making meals at home, plus at searching out the usually one thing on any restaurant menu I can safely eat (like buckwheat pancakes without butter at a pancake house today). How do I transition to eating every meal out every day in a foreign country? See how I do, or don’t do, here. I’ll be blogging whenever I can get Web access.